Electronic systems have made deep inroads into every aspect of daily life. One need only look around homes, offices and industrial plants to see that they feature almost everywhere. Indeed, it is practically impossible to name any appliances, tools or instruments that do not contain electronic components. In order to compete with rival companies or just remain a step ahead of them, the designers of technical systems and innovative products must be fully aware of both the assets and the limitations of electronic components and systems. Users of electronic systems also need to have a basic knowledge of electronic principles. 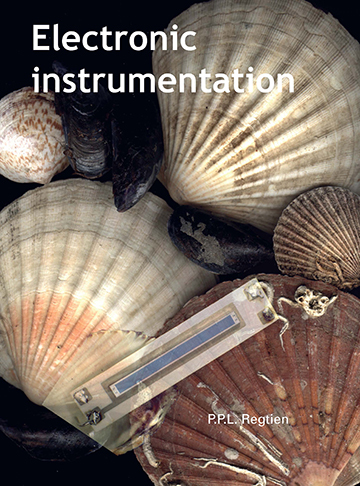 In order to fully exploit an instrument's potential, to be aware of its limitations, to correctly interpret the measurement results and to be able to arrive at well-balanced decisions relating to the purchasing, repairing, expansion or replacement of electronic equipment, all users of such systems also need to have a basic knowledge of electronic principles. In the third edition of 2015 some minor corrections have been made to the previous edition. This book offers such basic knowledge and provides guidance on how to obtain the relevant skills. The kinds of topics dealt with are operating principles, the performance of analog and digital components and circuits, and the precise characteristics of electronic measuring systems. Throughout the book, every endeavor is made to impart a critical attitude to the way in which such instruments should be implemented.